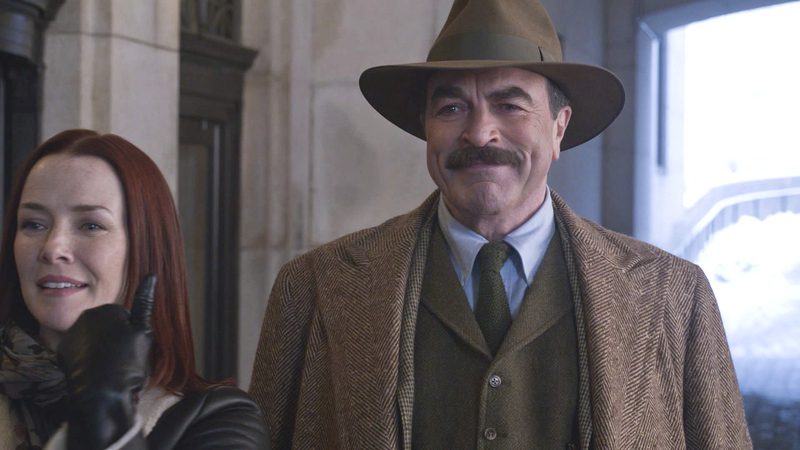 Season 4 Episode 16 - Blue Bloods - "Insult to Injury"
When Danny takes a call from a woman who is threatening to kill herself along with the man who killed her parents in a drunk driving accident, he rushes to find her. Meanwhile, Frank accompanies his grandson, Sean, on a class field trip and struggles to get the lead chaperone to loosen the reigns so the kids can have fun, on BLUE BLOODS. Pictured: Tom Selleck as Frank Reagan.